We we will be headed to Arizona for a few weeks in June and will be back just in time to celebrate the Fourth here in Texas, and I’m planning to make it really fun, filled with memories and good food! If I’m really on top of things we’ll grill and invite friends over. 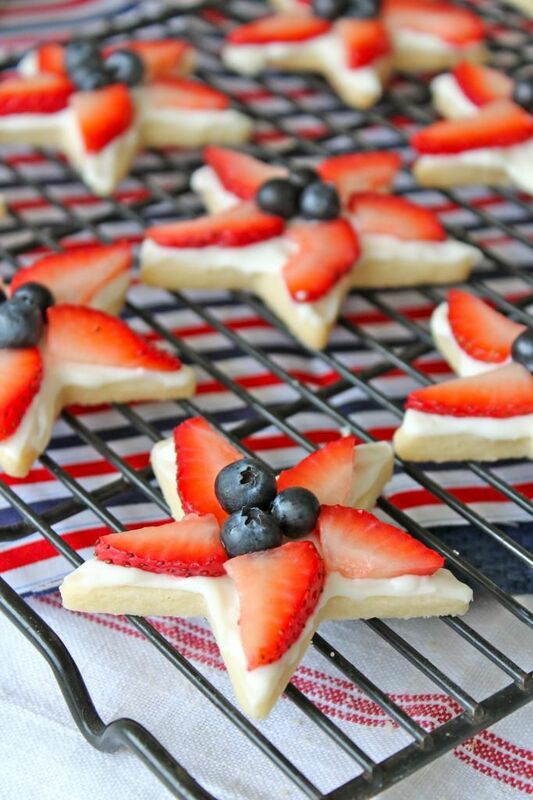 I wanted to be thinking of things in advance since I’ll be gone for most of June and thought I’d round-up some of of my favorite 4th of July desserts from Blog Land. Let me tell you – there are so many great, festive ideas and I hope you like them. from cupcakes to trifles and fudge, there are so many patriotic treats to choose from. I’m sure there will be AT LEAST a few that you’ll want to try yourself! Red, White, and Blue Pudding Pops from Play. Party. Pin. Ombre Independence Day Cake from Brit & Co.
For al 4th of July ideas go HERE. Thanks so much for including our Fourth of July Cake Pops… what a fabulous collection of goodies! Fabulous round up! So many yummy recipes! I love the 4th! What an AWESOME collection, Kristyn! I’m sharing this all over the place this morning! WOW! What a great collection of ideas! Thanks for sharing! Such a fun round up!! Thank you so much for including me! Thanks, Michelle!! So glad that I can now picture you when I see a comment from you! 😉 This definitely makes me excited for the 4th as well – it’s one of the best holidays!